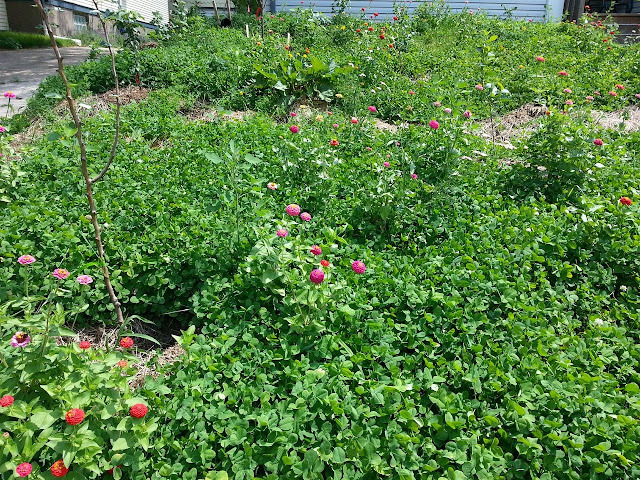 The Urbane Farmer: Orchard progress - flowers! I've had several people ask me about how the orchard is progressing since building it in late April. Since pictures tell a thousand words, here's the orchard as it is in late July. We killed the grass on nearly two thirds of the terrace (that strip of grass between the sidewalk and the street). 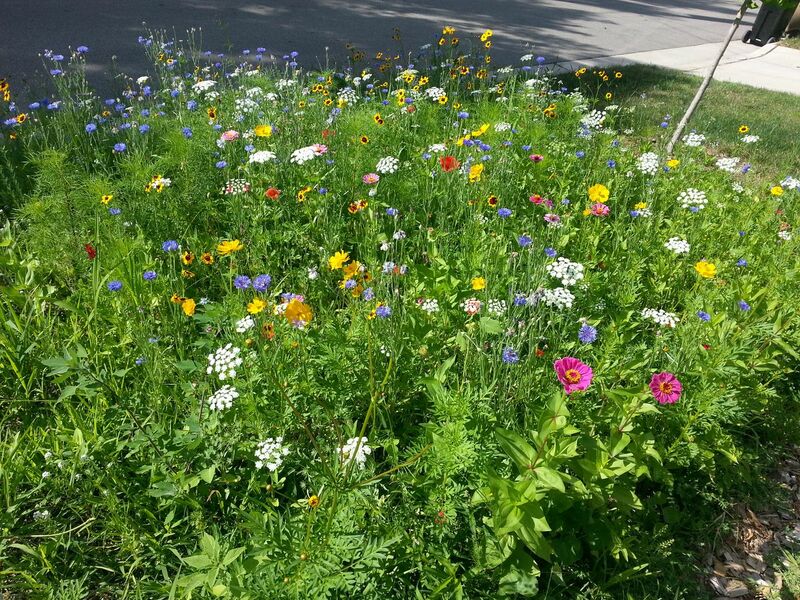 Instead of planting grass, I threw down several packets of wildflower seeds that are good for bees and hummingbirds. It's a riot of color today. 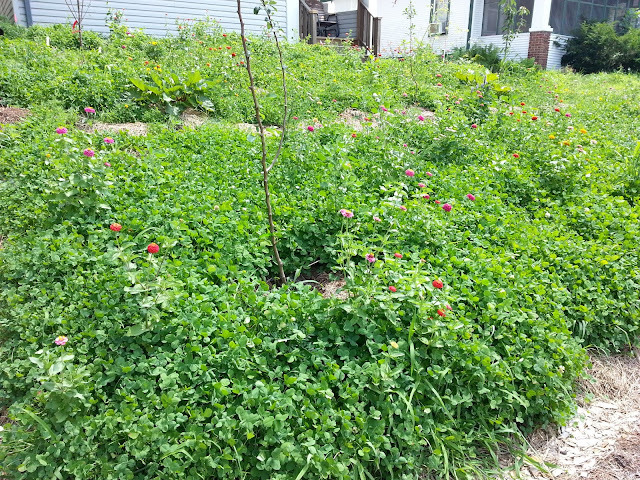 I planted dutch white clover which grows to 2-3 inches tall. I had a packet of zinnia seeds laying around, so I threw them out with the clover. They came in nicely too, and my neighbors have commented on how fun it is to see pops of color in the sea of green! The orchard from a different angle.